Pacific Fat Sleeper Goby - Dormitator latifrons: These fish live in freshwater marshes, muddy ponds and channels as well as mangrove areas. The young live in the sea but most adults reside in freshwater. Pacu - Myleus rubripinnis rubripinnis: This fish eerily has a set of chompers that are very similar to human teeth! It has been caught in Lake Michigan and has a reputation for taking a bite out of men between the legs -- earning its nickname, "the nutcracker." Painted Glass Fish - Chanda sp. : These aquarium fish have been colored artificially to appeal to consumers. Also known as juicing, the coloring is achieved by injecting the fish with bright fluorescent dye, dipping it into a dye solution or feeding the fish dyed food. None of these processes are healthy and it's best to avoid purchases these fish and endorsing these practices. Painted Talking Catfish - Acanthodoras cataphractus: These fish can make "talking sounds" in two ways. The first way is by partially locking their pectoral fins in their sockets; when the fish moves the fins, the fin spines grate against the socket and produce sound. The second method uses a mechanism called the "elastic spring." The fish can quickly contract and relax a muscle that is attached to the rear of its skull and the anterior of the swimbladder. The air in the swimbladder resonates to produce sound. 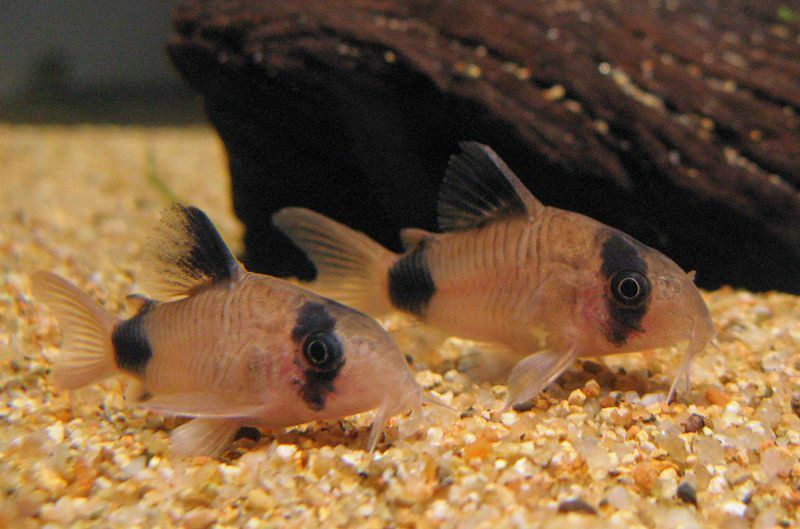 Pakistani Loach - Botia lohachata: This loach sports four pairs of barbels protruding from the mouth and a silvery gold color with black irregular striping. It's sometimes called a scaleless fish, but it does, in fact, have small scales embedded in its skin. Pollen's Cichlid - Paratilapia polleni "Madagascar"